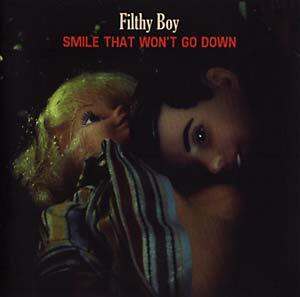 Smile That Won't Go Down is Filthy Boy's first album. Helmed by front-man Paraic Morrissey and his transportive baritone, Filthy Boy's debut is laced with romance, sweetness, and intrigue. The Peckham, Southeast London boys, their number made up by Paraic's bass-playing brother Michael, guitarist Harry Weskin, and drummer Ed Bernez, spent less than a week recording an opening statement that's as barbed as it is pleasant. 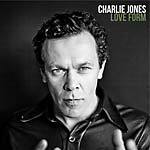 Steeped in refreshing, classic-leaning guitar lines, melody and sticky, robust choruses, it acts as an imposing calling card for its creators' songwriting abilities. The album, recorded at Edwyn Collins' West Heath Studio, is a chronological journey. "We wanted to make a record that flows, we're happy with it, and we like the idea of creating a body of work that takes people somewhere," Paraic says. Guitars often shimmy towards the indie disco, although the first time the band came across their articulate forebears Arctic Monkeys and Franz Ferdinand was when journalists likened their music. There are echoes of Special Needs and Nick Cave, too. Filthy Boy's is a quintessentially British brand of songwriting -- humorous, flamboyant and cocksure, but also withdrawn, understated, even vulnerable.